Norah Levy has just completed two years of treatment for leukemia and is ready to go back to the “real world” of middle school. She knows it'll be tricky—but like the Greek mythological characters she read about while she was sick, Norah’s up for any challenge. But seventh grade turns out to be trickier than she thought. Norah’s classmates don’t know what to make of her. Her best friend, Harper, tries to be there for her, but she doesn’t get it, really—and is hanging out with a new group of girls. Norah’s other good friend, Silas, is avoiding her. What’s that about, anyway? When Norah is placed with the eighth graders for math and science she meets Griffin, a cute boy who encourages her love of Greek mythology and art. And Norah decides not to tell him her secret—that she was “that girl" who had cancer. But when something happens to make secret-keeping impossible, Norah must figure out a way to share her cancer story. But how do you explain something to others that you can’t explain to yourself? Can Nora take her cue from her favorite Greek myth? And then, once she finds the words, can she move forward with a whole new ‘normal’? "Readers will feel with her as Norah struggles with how, when, and to whom she should tell her story—if at all. The moment that really sings is when Norah realizes that there are some life experiences that change you forever, and that's not always a bad thing. 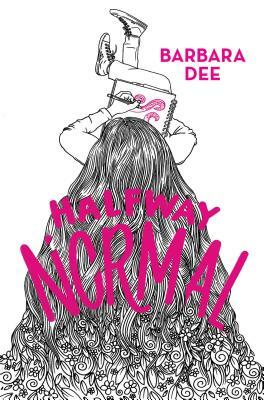 Dee, whose acknowledgments hint at family experience with childhood cancer, does an exceptional job accurately depicting Norah's struggles in a way that is translatable to those with varied understanding of illness… A powerful story not only about illness, but about accepting yourself for who you are—no matter the experiences that shaped you." "A powerful story about surviving and thriving after serious illness." The authenticity of Norah's story can be credited to the author's own experiences as the mother of a cancer patient.But this is not a book about cancer; rather, it's about the process of moving forward in its wake. Readers who appreciate well-wrought portrayals of transformative middle-school experiences, such as Rebecca Stead's Goodbye Stranger (2015) will find a story in a similar spirit here.